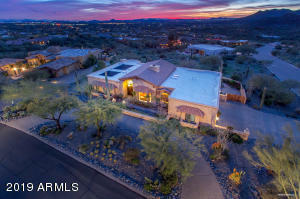 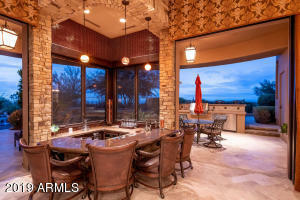 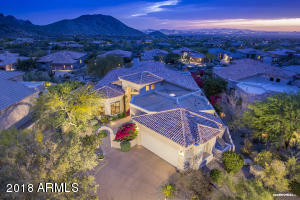 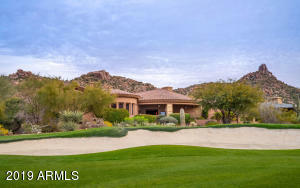 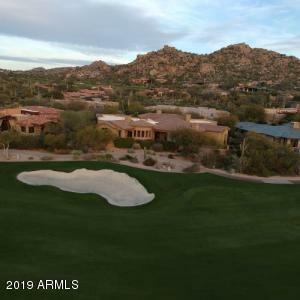 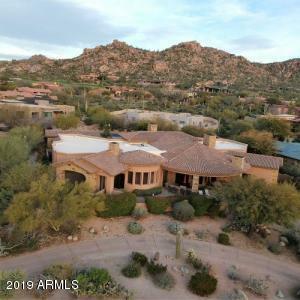 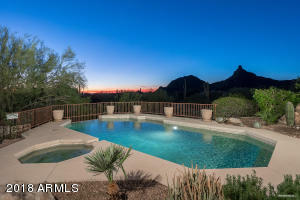 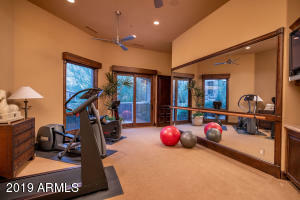 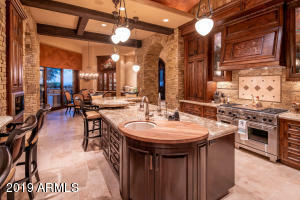 Sunset, city lights, mountain and golf course views are just a few of the benefits you will enjoy with this custom home in Scottsdale's Estancia neighborhood. 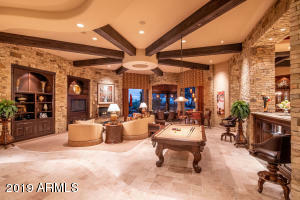 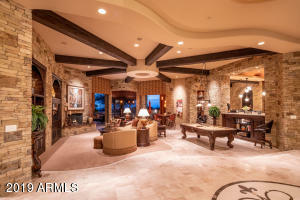 The great room design features a large theater, formal dining, gourmet kitchen, breakfast nook, office, and exercise room. 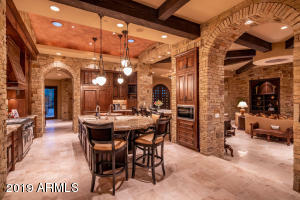 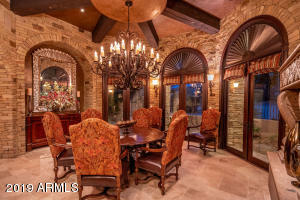 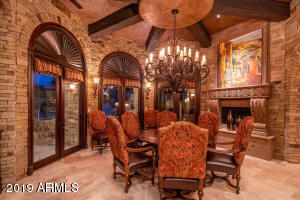 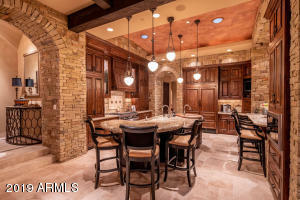 The master retreat is the perfect get-a-way with a Cantera carved fireplace, his and her baths, large closet, and direct access to the laundry and exercise rooms. 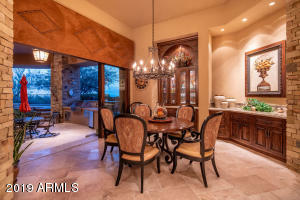 The guest wing has a transition area with built-in desk and sitting area along with 3 guest bedrooms all with private baths. 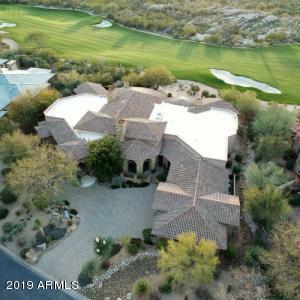 The patios are designed for inside-outside entertaining with retractable glass doors into the great room, pool and spa with cascading water features, fireplace, bbq and fantastic views. 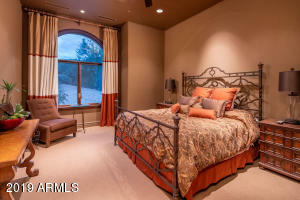 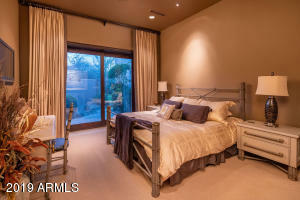 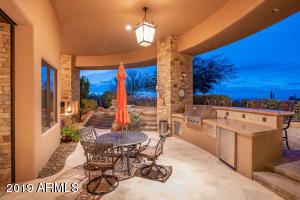 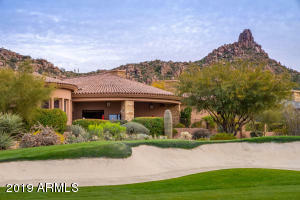 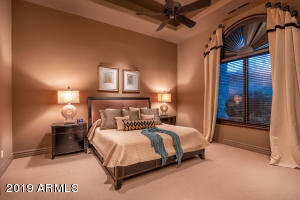 Estancia is a private gated golf community. 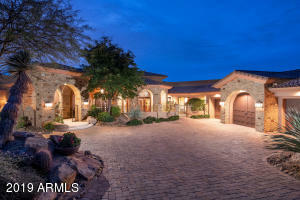 East on Dynamite to the Estancia subdivision entrance. 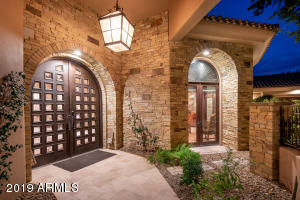 Guard will provide directions to the property.